With merely a few days in advance of its launch, Symphony Communications, the instant-message platform backed by a consortium of Wall Street’s biggest brokerdealers and whose strategy is to undercut the seemingly irreplaceable Bloomberg-powered IM announced that it has inked a deal with Dow Jones & Co to feed streaming News Corp.-owned Dow Jones News and Wall Street Journal content into the Bloomberg-killer service. BrokerDealer.com is the host to the financial industry’s most comprehensive database of broker-dealers and provides information on brokerdealers across more than 30 countries worldwide. 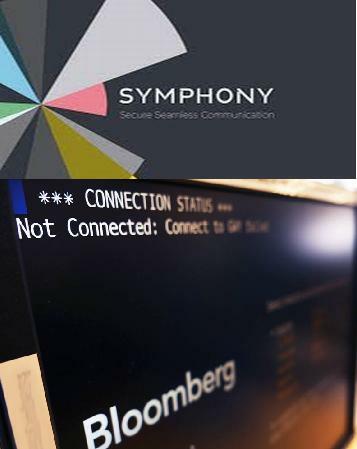 According to the latest WSJ coverage, Symphony has won backing on Wall Street because it has been viewed as a potential lower cost alternative to a popular messaging service on Bloomberg LP’s terminals. The company has also made its encryption technology a key selling point for financial firms wary about sensitive data falling into the wrong hands. The Palo Alto, Calif., company has secured $66 million in financing from 14 firms including Goldman Sachs Group Inc., Morgan Stanley, J.P. Morgan Chase & Co. and BlackRock Inc.